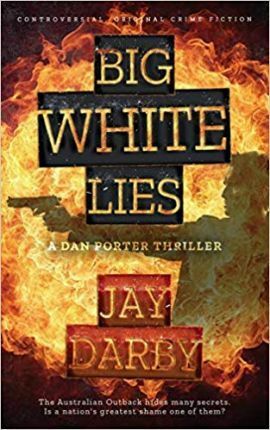 An original crime thriller, BIG WHITE LIES is a stunning debut, and sure to be one of the year's most controversial reads. Sydney, 2018 - Forty girls disappear without a trace. Disgruntled cop, Dan Porter, leads the investigation, and those responsible dare him to hunt them down. A mysterious informant sends Porter to Crooked River, a dusty and hostile Outback town, where clues from the past might lead to the missing girls. His questions are answered with threats, tensions mount, blood is spilled. What part of the town's history are the locals, and powerful others, so desperate to hide? Porter's in constant danger, but he's no quitter, especially with young lives at stake. He uncovers the Outback's darkest secret, and it's more sinister than ever imagined.